Too many questions pacing back and forth in my mind as I write this. How can they? Where they taking the people for granted? Who is the brain behind this very shallow thought out gimmicks? Are this people really ready to win? Inarguably, Across our political space, Nigerians are massively rooting towards competence, consistency, character and capacity. Then, boom, Kwara APC decided to negate all these sterling qualities by fielding candidates - Gubernatorial aspirant and deputy whose highest academic qualification is SSCE! Haba! Does this mean this is the best the APC can come up with in Kwara? Without mincing words, I'm appalled. Interestingly, there may exist persons with tested academic qualifications who exude great intellectual prowess and unprecedented developmental and human management skills. Why not those in this category? Oh, they ain't loyal. Is that it? Methinks, politics is about smart strategies and consciously appealing to the yearnings of the electorate. Evidently, Kwara APC has failed Kwarans in this regards. But then, it is to late to right this demeaning wrong? It was Atiku Abubakar who said; "I cannot appoint someone I cannot learn from." One then wonders who will learn from who when both aspirants are just SSCE holders! Bear in mind, without prejudice to the holders of the same academic qualification who have over the years distinguished themselves. 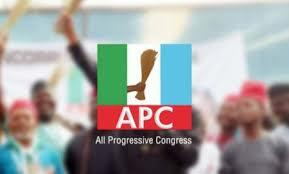 No record anywhere of the APC deputy governorship candidate being exceptional. Safe to say, he got on the ticket based on that is know in the Nigerian parlance as "Paddy paddy". This means, his closeness to the man on the APC ticket got him on board and not competency, consistency and character was brought to bear. I call on all the leaders of APC Kwara State to shun partisanship and sycophancy in the interest of all Kwarans and do the needful. Will they? Time will most definitely tell. Adegbola Rokibat writes from Offa, Kwara State.